Inspect the master switch continuity. 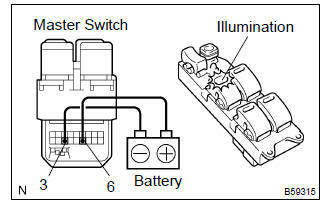 If the result is not as specified, replace the master switch. Inspect the master switch illumination. : all the regulator switches (front passenger’s, rear left, rear right) should be inspected in the same procedure. inspect the regulator switch continuity. 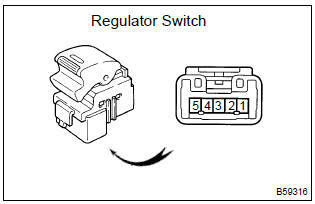 If the result is not as specified, replace the regulator switch. Inspect the regulator motor operation. 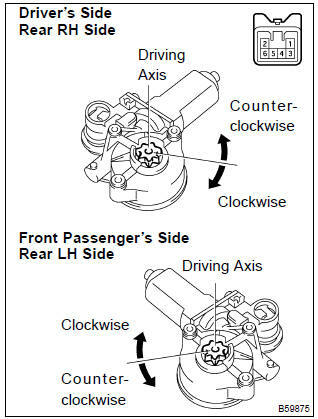 driver’s side and rear rh regulator motors should be inspected in the same procedure. Passenger’s side and rear lh regulator motors should be inspected in the same procedure. 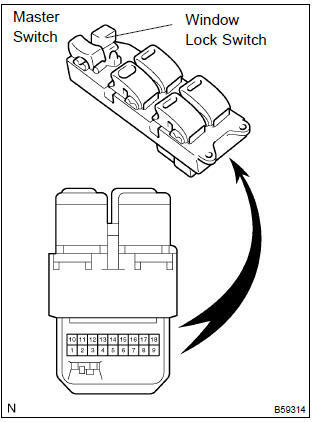 Check that the motor operates smoothly when the battery positive voltage is applied to each terminal of the connector. Inspect the ptc operation inside the regulator motor. : the inspection should be performed with the power window regulator and door glass installed to the vehicle. 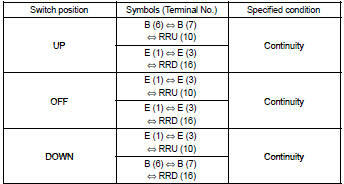 Set a dc 400 a probe of the toyota electrical tester in the wire harness of terminal 4 or 5.
: match the arrow mark of the probe with the current direction. Set the door glass in the fully closed position. 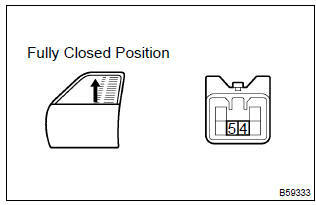 When 60 seconds have elapsed after the door glass is fully closed, check how long it takes for the current to change from approximately 16 – 34 a into 1 a or less when the power window switch is turned up once again. When approximately 60 seconds have elapsed after the inspection of the current cut–off, check that the door glass goes down when the power window regulator switch is turned down. Remove the power window relay from the instrument panel j/b. 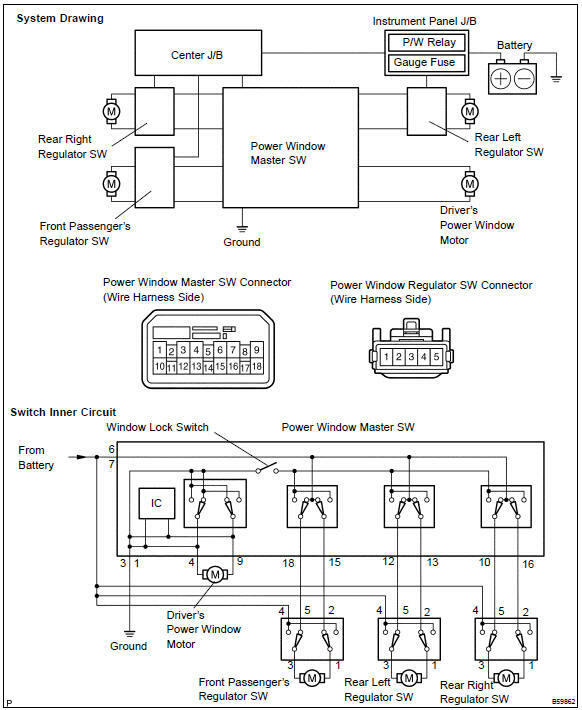 inspect the power window relay.